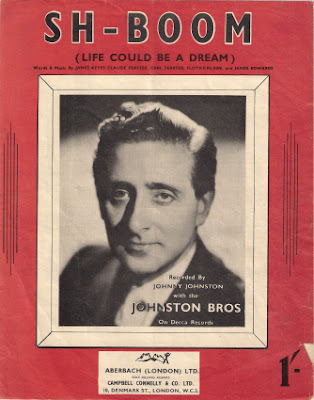 Johnston was born John Reine in 1919, but little has been published about his early life. A tall man (6ft 2in) he served as an army major during the Second World War, afterwards forming Michael Reine Music with his partner, Mickey Michaels. He composed a number of well- remembered songs including "Don't Ringa Da Bell" and "The Wedding of Lilli Marlene" for the 1953 film of the same title, starring Liza Daniely. 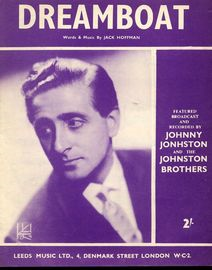 By the mid-Forties, Johnston was regularly employed by BBC Radio's light music department both as a singer and an arranger. His first big success was to write and perform, with his vocal quartet The Keynotes, the theme to the successful comedy series Take It From Here in 1948. The Keynotes comprised of Johnston, Alan Dean, plus two girl singers, Terry Devon and Irene King and remained a popular singing group in the United Kingdom throughout the 1950s, winning several awards but having no hit records. Terry Devon left to marry the bandleader Tito Burns, and was replaced by Cliff Adams. Then he joined the Stargazers, a similar group, and was replaced by Pearl Carr, who would in turn marry the singer Teddy Johnson and form a double act with him. 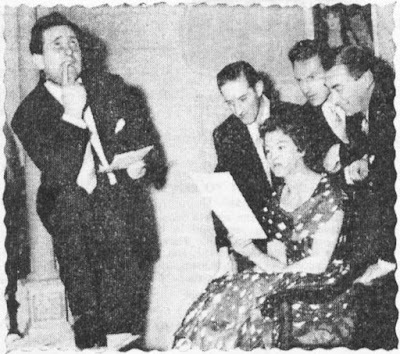 The Keynotes made their first recording in April 1948, less than a month after their first broadcast. 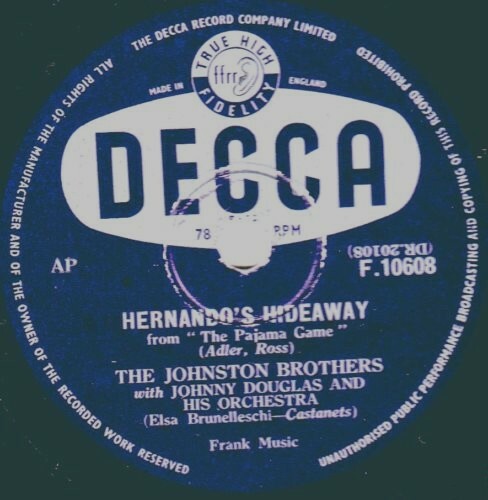 They were the back-up group to the veteran crooner Sam Browne on his Decca recording of "Heartbreaker", which became a huge hit with its cheery, driving beat. 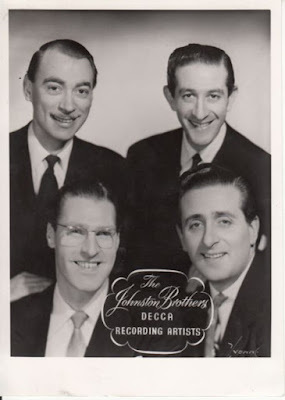 The Keynotes would remain with Decca for eight years, usually backing such top of the pops singers as Denny Dennis, Anne Shelton, Joy Nichols, Joan Regan, Dickie Valentine and Dave King, the comic turned crooner. 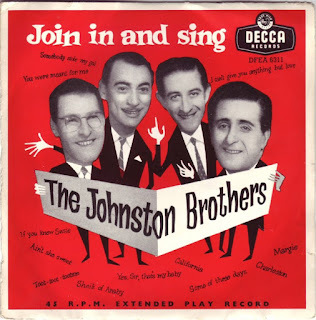 They even recorded with the Johnston Brothers, which must have been tricky as Johnny Johnston not only formed but led that group, too. By 1950, the Keynotes' composition changed again. Despite these many changes, the Keynotes were voted the country's top vocal group several times, but destiny in the form of rock 'n' roll would shortly cause their collapse. Meanwhile, however, they had made a handful of successful television appearances, from singing with Patricia Dare in Lady Luck to guesting on the ex-bandleader Jack Payne's series Off the Record. Clearly a glutton for work, Johnston now formed a third group, an all- male outfit called the King's Men, and they backed Pearl Carr in "Be My Life's Companion" (1952). The opening of commercial television in Britain in 1956 brought a total change of life to Johnston. Honing in on the brand new market of advertising jingles, in the first year he composed, arranged and produced 30-second sing-along’s for Kleenex Tissues, New Zealand Butter, Stork Margarine and "Rael-Brook Toplin, the shirts you don't iron", his first huge success which contained no other words than those of the company's slogan. 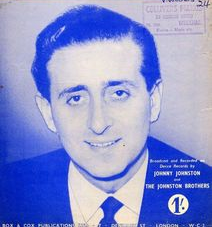 Within two years, he had established himself as Johnny Johnston Jingles Ltd, and from his own studio, Cine-Tele Sound, had written and recorded over 500 commercials. By the time he retired, his record totalled some 4,500 jingles, including one famous first, the first ever colour commercial. It featured Birdseye Frozen Peas and Johnston wrote the music. It went out at five past ten on the morning of 15 November 1969. If one were to pick one jingle to stand as an undying tribute to the man's talent, how about this one which was such a hit it was published as a popular song; Keep going well, keep going Shell. You can be sure of Shell. After battling with illness for a long time Johnny Johnston died in London 10 June 1998. Couldn’t find any Johnston Brothers albums up for grabs but managed to collect a few mp3’s. Thanks to Audiotot for mp3’s. Audio levels may vary.